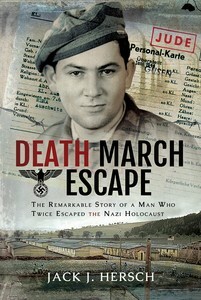 Author Talk: Death March Escape: The Remarkable Story of a Man Who Twice Escaped from the Holocaust at New Castle Town Hall Assembly Room on Wednesday, January 23rd at 7:00pm. Author Jack Hersch intrigued by a photo of his father on a concentration camp memorial website delves into the life of a man willing to pursue freedom at any cost. This book is at once a biography and a memoir. Visit Town of New Castle online here for additional information.